I don’t recall how I discovered this book, but I remember being initially skeptical. 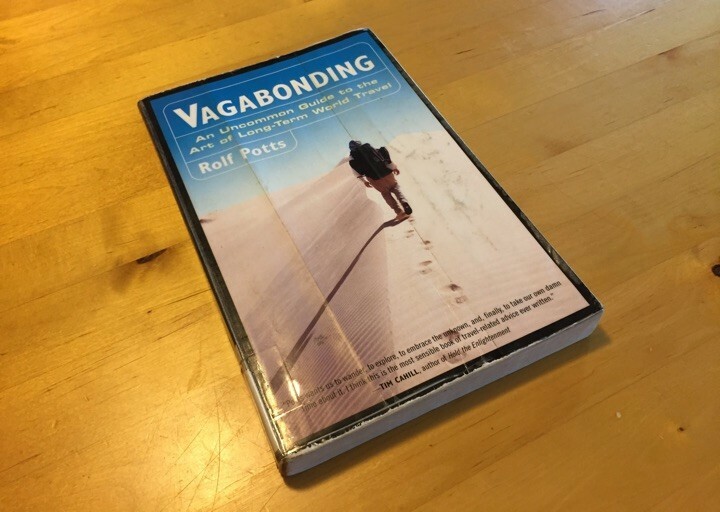 I was wary that Vagabonding: An Uncommon Guide to the Art of Long-Term World Travel by Rolf Potts would be a poorly-written eBook with a very catchy title and little else. I’m glad to report that instead, this compact book was a nice mix of inspirational philosophy and practical advice. What is Vagabonding? Vagabonding is defined by the book as taking time off from your normal life – from six weeks to four months to two years – to discover and experience the world on your own terms. Vagabonding focuses more on growing your self, while “vacation” is more about resting and preparing yourself for coming back to work. Stretching your boundaries always involves a certain level of discomfort. Put another way, you can’t buy vagabonding as a package deal (58% off!!) from a vacation wholesaler. Do you even want to do this? I think this is the most important question. 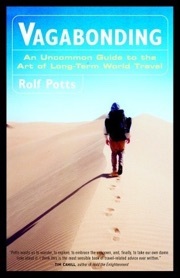 Reading this book is a good way to see if you would actually like to do long-term travel. By skipping the tour guides and charter buses, you’ll actually need to interact with strangers and locals. You will arrange your own transportation, order your own food, carry your own bags, and start your own conversations. While you should try your best to be safe, it won’t be perfect. Occasionally, you will look foolish or be ripped-off. Potts reminds you that this is a time-honored tradition for travelers, and at least you’ll have a story to tell. This will either sound awful, or it will sound awesome. Will you feel the wanderlust? Can I do this? This is an easier question. In terms of hard numbers, you’ll need to budget about $750 to $1,000 a month. To me, the overall message of the book is that yes, you can, as long as you want to do it. Vagabonding is easier than you think. You must, however, loosen your grip on the certainties of life. It costs less than you think. Visit lower-cost countries. Stay in hostels or AirBNBs. Eat like locals at street vendors and food stalls. You need less stuff than you think. He provides tips, although there are many online resources about packing light. You need less planning than you think. In fact, you shouldn’t plan everything ahead of time. Slow down. Move deliberately. Make choices as you go. You are simpler than you think. Long-term travel helps you strip away all of the the rituals, routines, and possessions you’ve accumulated. Parallels with early retirement and financial freedom. Many of the themes that came up aligned with my own thoughts about the pursuit of financial freedom. It’s not for everyone, only you know if you feel the calling. This motivation is critical, as there will be speed bumps ahead. You must put in some serious effort and savings discipline in order to make it happen. The good news is that this hard work will make you appreciate your eventual freedom even more. Inevitably, some of your friends and neighbors will scoff at the idea as either impossible and/or foolish. In the end, it requires you to take a leap of faith by quitting or at least taking an extended leave of absence from your job. You must trust that “it will be okay”. I borrowed an original 2002 copy from the library for this review, but after reading it I decided to order the “revised and updated” 2016 version from Amazon. There are many passages and other tidbits that I will want to refer back to later. I went ahead and bought a new copy, as I wanted to guarantee myself access to the new material. If I bought it used, I may have gotten the older version again, as the new version isn’t being called a 2nd edition and has the same old ISBN. Manually link your Starwood Preferred Guest (SPG) and Marriott Rewards (MR) accounts at this Starwood page or this Marriott page. They will not be linked automatically. You can only link one MR account to one SPG account (and vice versa), so you’ll need to merge any duplicate accounts first. If you are an elite member of one program, your status will be matched in the other program. SPG Preferred Plus = Marriott Silver. SPG Gold = Marriott Gold. SPG Platinum = Marriott Platinum. You can transfer points both ways with no fees. 3 Marriott points = 1 SPG point. You can transfer up to the full balance of your account in increments of 1,000 points into the linked account. Ex. 1,000 Marriott points = 333 SPG points. 1,000 SPG points = 3,000 SPG points. Transfers should be instantaneous. If I transfer points from my Rewards account to SPG, does it count as activity against points expiration? Transfers don’t count as a qualifying activity in the Rewards program, so transferring points won’t keep your points balance from expiring. If I transfer points from my SPG account to Rewards, does it count as activity against points expiration? SPG Starpoints don’t expire as long as your account remains active. Linking and transfers count as activity. 60,000 Marriott points = 20,000 SPG points = 25,000 American, Hawaiian, Delta, or Alaska Airlines miles. 18,667 Starwood points = 56,000 Marriott points = 25,000 United Airlines miles. Credit card considerations. Given the 3:1 ratio, Chase Marriott card now has bigger relative sign-up bonus, but SPG American Express has earns more rewards on all everyday purchases. Chase Marriott Rewards Premier Card can get you 80,000 + 7,500 Marriott points if you meet the purchase hurdle. 87,500 Marriott points = 29,166 Starwood points. Starwood Preferred American Express can get you 25,000 Starwood points if you meet the purchase hurdle. You’ll also get 1 Starwood point per dollar spent = 3 Marriott points per dollar spent on all purchases. Back in 2014, Google bought Word Lens, a neat app that translated a few languages in real time using your smartphone’s camera. The live translation feature has been integrated into the Google Translate app (Android and iOS) and now works with 27 languages. If you snap a picture, it works with 37 languages. This means when traveling to a foreign country, just point your phone at a restaurant menu, grocery store item, or street sign and you’ll see it in your home language. This counts as a deal for me because I would pay money for such a convenient and useful app. But it’s free, and you don’t even need an internet connection to use it (assuming you download the appropriate language packs ahead of time). There is also a conversation mode where you can speak and it will provide instant translation of conversations across 32 languages (good for interactions at hotels, train stations, or taxis). I believe you’ll need an internet connection for this, but it supposedly now works better with slower connections. I tried it out and while it really only works with clearly printed text, it is still an amazing application of augmented reality. 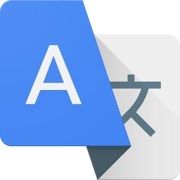 I look forward to having it expand to even more languages like Chinese, Japanese, and Korean. Here’s a quick tip that I’ve been using regularly this summer for saving money on car rentals. A quick primer on car rental reservations. When you make a reservation at most car rental shops, you simply agree to a price and make a non-binding reservation without giving any payment information. You can cancel at any time, without penalty. Technically, even if you just don’t show up there is no penalty besides bad karma. The flipside is that they overbook and occasionally your subcompact turns into a Ford Crown Victoria. First, book your car rental as early as possible using the best deal you can find on your own, be it through a business account, promo code you found online, or using an opaque booking site like Hotwire or Costco Travel. As there are no penalties for cancellation, so you want to start the process as soon as possible. AutoSlash will then continuously search for a lower price using your dates and preferences, often using coupon codes that you may not know about. If they can find something lower, they will e-mail you. If the new deal looks better than your old one, you can go through their site and book the new deal. Just cancel your old reservation afterward and you’ll have taken advantage of the price drop with no fees or penalties. You may be presented with quotes from lesser-known rental agencies. I normally try to support smaller businesses, but in this case I am wary of being improperly charged for a dent or scratch on the $25,000+ vehicle they are lending me. I have used Dollar/Budget/Alamo/National/Enterprise without any problems. The lower price quotes may not offer pickup at the exact location you booked initially, especially if not at an airport. Depending on your situation, the savings may be worth a bit of a walk or a short taxi ride. You may get a lot of price drop e-mails, and also multiple confirmations of new bookings. I know that for one reservation where I re-booked multiple price drops, I probably accumulated over 20 e-mails. 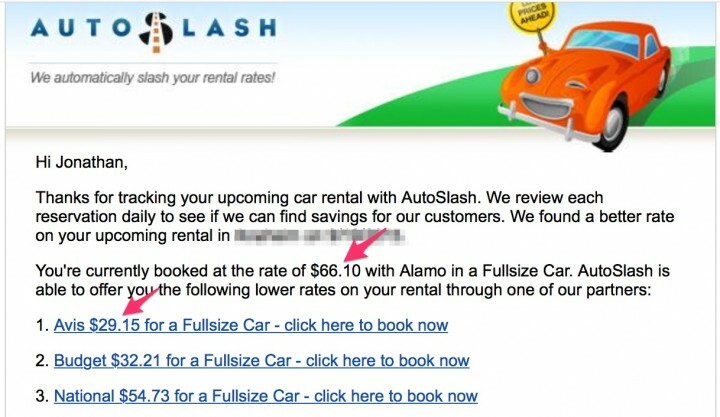 Because AutoSlash uses promo codes it pulls from around the web, I have read stories that a rental agency can deny a price quote because it claims that you weren’t eligible to use that promo code. I have never run into a problem like this (and would otherwise use promo codes from the internet anyway), but I thought that I should mention it. 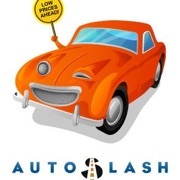 Even if AutoSlash never e-mails you, at least you have some additional peace of mind that you got close to the best deal on your auto rental. All for free and with minimal effort. After researching the details for my Citi Prestige Card review, I went ahead and applied for one since I felt I could get over $1,400 of value in exchange for the $450 annual fee. Part of that would come from the $100 application fee credit they give you when you apply for the Global Entry Program. Global Entry Membership allows international travelers expedited entry upon arrival in United States, by using automated kiosks when entering the United States. Once approved, Global Entry members can use automated kiosks in most major U.S. airports, rather than having to go through the traditional arrival process. There is a $100 application fee payable to US Customs and Border Protection (CBP) which administers the program. As a benefit of the Citi Prestige Card, Citi will provide one statement credit for this $100 application fee, once the fee is charged to the account. The $100 application fee credit will reset once every 5 years. Global Entry automatically includes membership to TSA Pre-Check, which provides expedited security screening at participating airports in the US for eligible travelers. If in the (ideally shorter and faster-moving) TSA Pre-Check line, you won’t have to remove your belt, shoes, light jacket, or take out your your laptop from carry-on. See this Trusted Traveler Program comparison chart for details. TSA Pre-Check is open to U.S. citizens and U.S. lawful permanent residents. *Are not the subject of an investigation by any Federal, State, or local law enforcement agency. Global Entry Application Process. I applied on 5/6 and was given “conditional approval” on 5/10. That meant that I was allowed to go online and schedule my in-person interview at my nearest Global Entry Enrollment Center, which for me (and probably most people) was at the US Customs and Border Patrol office at an international airport. I could have gotten a spot in under a week, but based on my availability the best time was 8 days later on 5/18. The interview involved bringing my passport and one additional form of identification, answering some brief interview questions, standing for a mugshot and thumbprints, and finally watching a short 5-minute video on the rules of Global Entry. It took about 30 minutes including wait time. That same day, I was notified online that I was approved and given my Global Entry membership number which can be used as part of the Trusted Traveler Program. I quickly typed this number into my frequent flier accounts in the hopes of getting expedited TSA Pre-Check lines for my upcoming travel. A few days later I received a physical membership card via US postal mail. The Global Entry card can be used for border crossing by car or boat. Citi Prestige® account cardmembers are eligible to receive one (1) statement credit per account, every five (5) years up to $100, for either the Global Entry or the TSA Pre Check® application fee. Cardmember must charge the application fee of at least $85 to their Citi Prestige® Card to be eligible for the statement credit. Cardmembers will receive a statement credit for the first program (either Global Entry or TSA Pre Check®) to which they apply and pay for with their eligible card, regardless of whether they are approved for Global Entry or TSA Pre Check®. The one (1) statement credit every five (5) years for the application fee charged to the Citi Prestige® credit card account is applied by Citi directly to the card account. 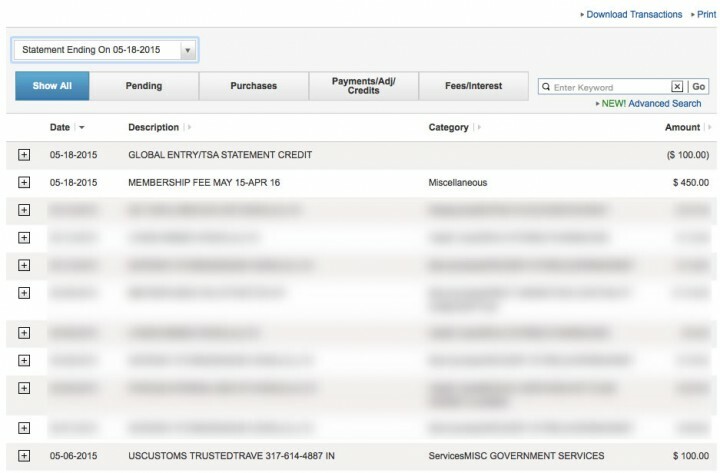 Please allow 1-2 billing cycles after the qualifying Global Entry or TSA Pre ? ® is charged to the eligible account for the statement credit to be posted to the account. People with kids should note that while TSA Pre-Check allows children 12 and under to go with you in line without separate membership, Global Entry requires every single person (no matter the age) to have their own separate Global Entry membership in order to use the special kiosks. You speak English, DON’T YOU? This comes off as a challenge, with the suggestion that you are expected to serve them. It starts off your conversation on the wrong foot. I know, I used to do it myself. You can see their face clench in a defensive manner. It’s better to butcher their language and show that you care, rather than speak perfectly in your own language and prove that you don’t. For more pro travel tips check out Top 20 Hacks to Travel Like a Kiva Pro and How to Travel by Anthony Bourdain. A couple of weeks ago I wrote about the non-traditional retirement story of Richard and Amanda Ligato, which was highlighted in a Nationwide Insurance commercial. Usually TV commercials are too busy convincing you to buy buy buy, so the idea that people who saved half their incomes were shown was amusing. 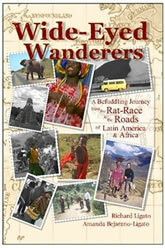 I ended up buying a copy of their book Wide-Eyed Wanderers: A Befuddling Journey from the Rat Race to the Roads of Latin America & Africa* which covers their journey through Mexico, South America, and Africa. For simplicity and frugality, they bought a 1978 Volkswagen camper-van and basically lived in it the entire trip, driving to all of their destinations (besides being shipped from Panama to Ecuador, and then Chile to South Africa). They cooked their own meals and slept nearly every night in the van. The Ligato’s are one feisty couple. There are multiple stories about them being shaken down by police officers, customs officials, and other government workers for bribes and how they refused to pay any of them. (I think it helped that Amanda is a native speaker of Spanish.) In another incident, they actually tackled a woman who was trying to pickpocket them and ended up arrested in an Argentinian police station (they were eventually released). They weren’t as lucky when they reached the bottom of South American and tried to talk their way into a cheap ticket to Antarctica, as they ultimately had to give up as the price was too high. Me being me, I wanted to learn more about the economics of how they saved, planned, and budgeted for their journey. Unfortunately, they really don’t cover this in the book. The topic is only mentioned briefly when they have to hang out with what you might call the “average American traveler”. For example, on the Inca Trail in Peru, they wrote about how a fellow hiker realized that the Ligatos had spent as much on their last 15 weeks coming through Mexico and into South America as she alone had spent on her 2-week packaged tour. For the most part, the book consists of journal entries, each from a different town or city. The stories were nice, although as a whole I wouldn’t say the book was exceptionally funny (although there are light moments) or enthralling (although there are some exciting moments). What I’m trying to say is that they aren’t professional writers and you shouldn’t expect the humor of Bill Bryson or the romanticism of Peter Mayle. This is just a true journal of real people who had a life-changing journey that most people can only dream about. If I were to die now would I go without regret? Have I really lived? Unlike many of those who created these ancient traditions, I’ve been given the free will to choose my path. Have I? If are reading this, it is likely that you have more freedom in your life than most. Books like this remind me to ask myself: Are you consciously living or just passively getting by? * I bought a physical copy, but this title should also be included for free if you are part of the Kindle Owner’s Lending Library or Kindle Unlimited. It is self-published which is probably why I couldn’t find it at my library, but you could still check. As I am now a father of two in diapers and no longer an active traveler, I am again faced with the possible expiration of my frequent flier miles due to inactivity. The easiest and cheapest way for me to keep my miles alive has been to using dining rewards programs that give me miles for eating at participating restaurants. You just link your existing credit card and pay with that credit card and it figures everything out for you – no embarrassing coupons, apps, or membership cards. Not all the food joints are great (this is basically paid advertising and the best places don’t need to advertise) but thankfully there is consistently a small overlap between participating merchants and places I usually eat at anyway. My $10 lunch fills the stomach and resets the clock on my 5 or 6-figure mileage balance (although you could buy something as little as a $1 bottle of water). 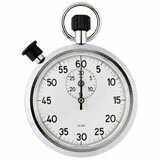 Miles usually post within a few weeks; often faster. Each separately branded program can have multiple credit cards linked to it, but any single credit card can only be linked with one program. (Hope that made sense. 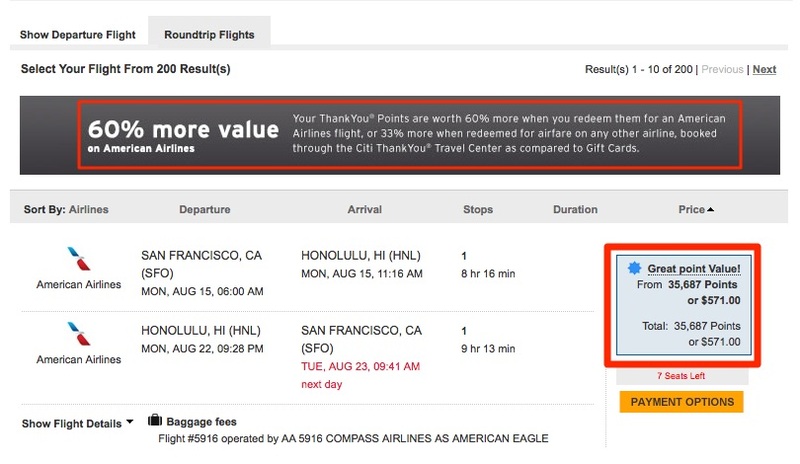 You can’t earn miles on two airlines on the same purchase.) However, you can change the linked cards as often as you like via website. Be on the lookout for also various limited-time promotions for both new and existing members that may offer you more free points and miles. For example, below is a limited-time promotion offering new American Airlines Dining members 2,000 miles for spending $30+ at a participating restaurant and completing a short survey. At 1 to 2 cents value each, that 2,000 mile bonus is worth $20-$40 by itself. You can join each program and grab every bonus (one by one or simultaneously, if you have enough credit card numbers). 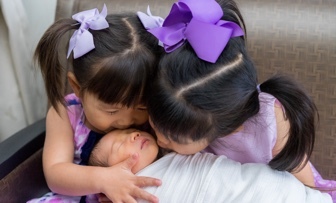 Due to birth of our first child, we haven’t been traveling much the last 24 months. 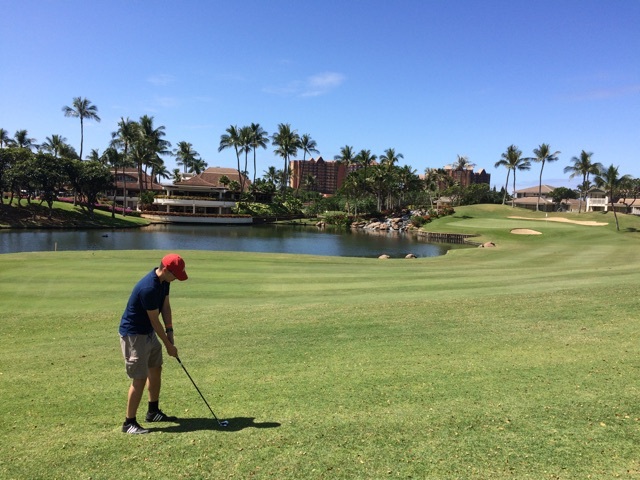 However, I’ve still been racking up the miles (via credit card bonuses, credit card rewards, dining rewards, and shopping portals) and have built up a sizable pile with the three major “superpoints” programs – those that allow transfers to a variety of air and hotel partners. Everyone has their own preferred programs and unique travel needs, but here is a quick reference guide to simplify things. My favorite transfer partners are bolded, but all of the other options are also included. These days I’ll probably just be topping off an account off to qualify for an award ticket or free hotel night. Ratios are 1:1 unless otherwise noted. Chase Sapphire Preferred Card review – 40,000 Ultimate Rewards point bonus, 2X points on travel and dining. Chase Ink Bold Business charge card review – 50,000 Ultimate Rewards point bonus, 5X points on office supplies, internet, phone, TV service, 2X on hotels and gas. Chase Ink Plus Business credit card review – 50,000 Ultimate Rewards point bonus, 5X points on office supplies, internet, phone, TV service, 2X on hotels and gas. Passenger air travel must have one of the most complicated, opaque pricing systems known to man. The price of a ticket depends on date of travel, date of booking, time of arrival, time of departure, one-way or roundtrip, how many seats are left, the price of oil, and who knows what else. I mean, this is an industry that overbooks on purpose because they gamble on how many people will miss their flight, and will start to charge for restroom access by the second any day now. 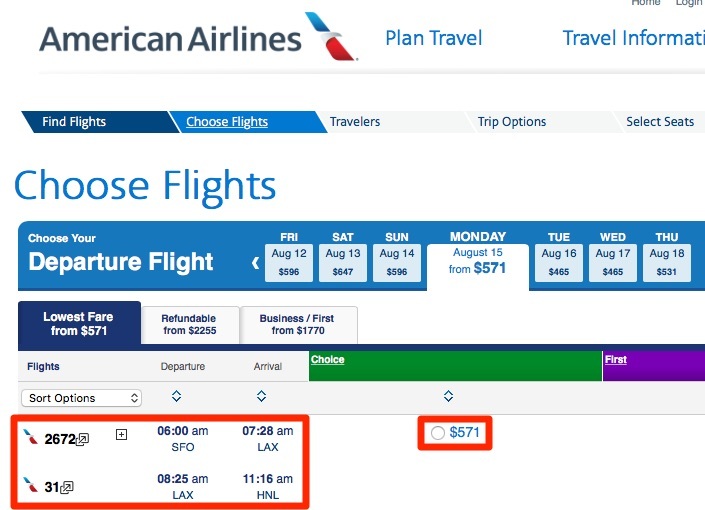 Sites like Travelocity and Expedia have made buying your own airfare much more simple, but if you’ve every tried to make a complicated booking with an extended layover, open jaw, multiple cities, or international transfers it’s still quite a maze. In the old days you’d ask a travel agent and hope they were good, but now you can ask the crowd at Flightfox.com. Thanks to reader Mike for the tip. Simply enter your trip details and offer a bounty ($19 minimum) for the best flight booking in your own opinion. In addition to a low price, you may prefer a certain airline, have a lot of baggage, require no stopovers, or be willing to endure extra stopovers if it saves money. Ideally you’d choose the best option, pay the bounty, and walk away with a better result than you’d have gotten otherwise. If you don’t like any of the options, you owe nothing. If you’re already a savvy frequent flier, then you can sign up and earn money as a Flight Expert deal finder. Flightfox takes 25% of the fee and you keep 75%. According to Techcrunch, about 5-10% are indeed moonlighting travel agents, and the rest are just well-versed travelers. I definitely plan on trying this the next time I have a multi-city trip. Anyone use it yet? Update: About to fly? Get 25% off Flightfox with this link!